Returning to where we started our van journey in and around Calgary, Alberta. Alberta is where the van magic started; our van is from here, we renovated it here (in the dead of winter I might add) and we started our 6-month long drive (and counting) from here. As cool as it was coming back into Canada through BC, entering Alberta was a pretty big milestone for us. We’ve done and seen A LOT of stuff since we’ve been away and it’s pretty great to know that we, and Clementine, have made it successfully without being dead broke or, just dead. The Rockies never seem to get old. Even though they’re like really, really old. You’d be hard pressed to find a boring or dull route into Alberta from BC since you’ve got some pretty special mountains to pass through. 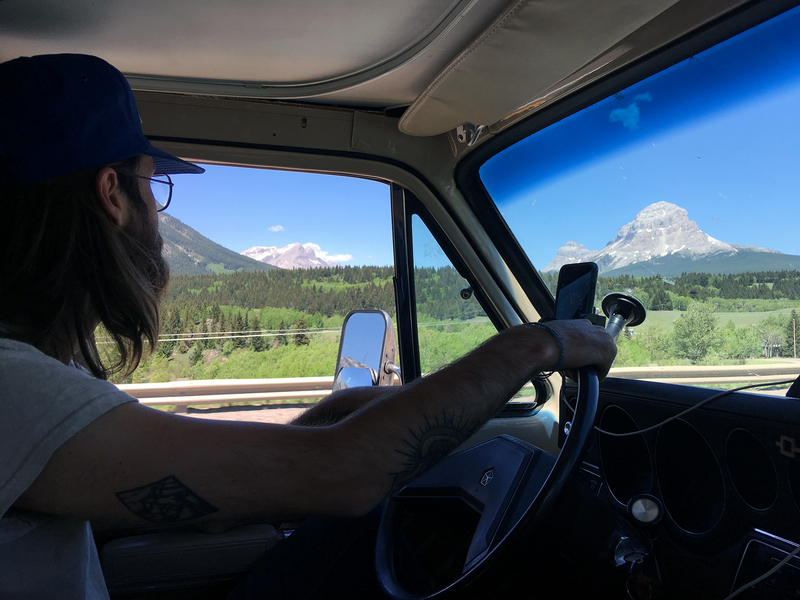 As mentioned in our last post, we took the Crowsnest Highway the whole way through BC until we reached the crazy gorgeous Crowsnest Pass in Alberta. 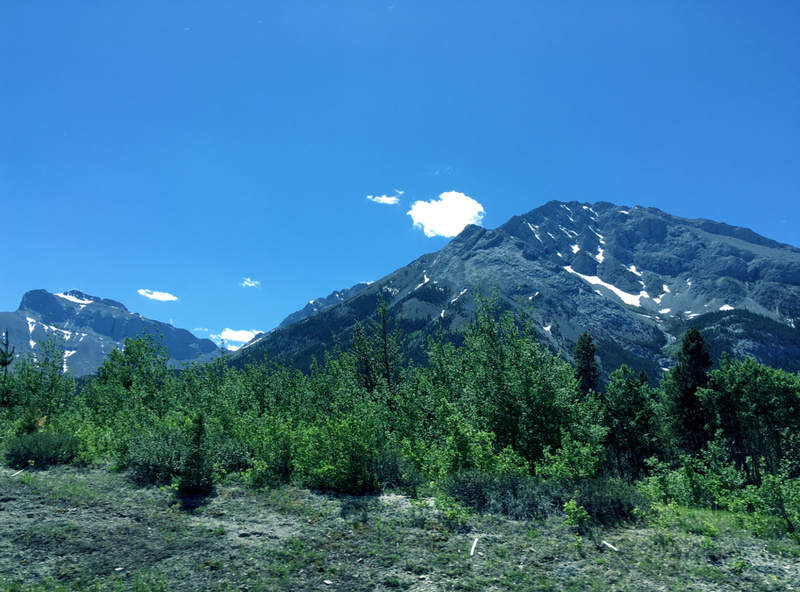 Crystal clear lakes and snow capped mountains surround you as you drive and try to feverishly take it all in since in a matter of minutes, the landscape changes to the good ol’ prairies – yawn. Anyway, not far from the border is the town of Frank, which is a pretty interesting place to stop. 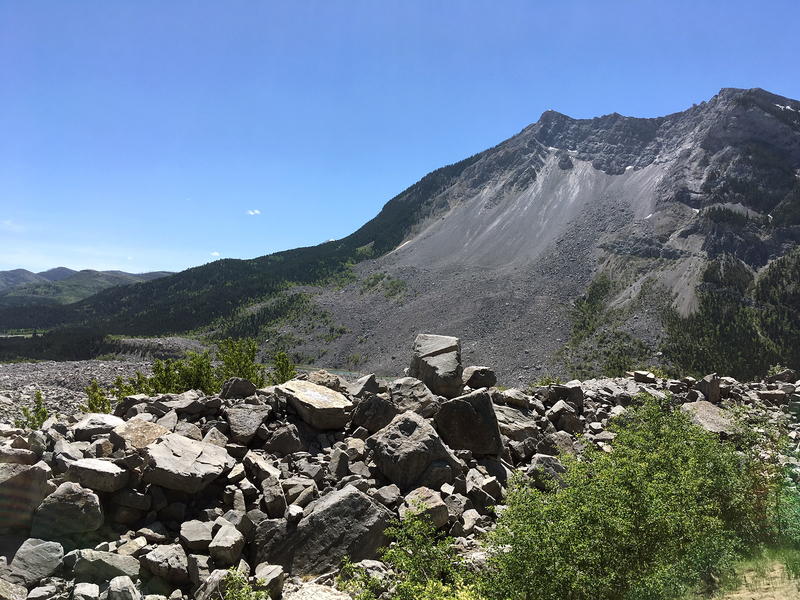 Basically, hundreds of years ago, a crazy rockslide completely buried this little town and it was left as a field of rubble. They say there’s gold and all kinds of things under those rocks since the slide destroyed banks and other important buildings but I think the no-digging policy is pretty firm. Bummer. 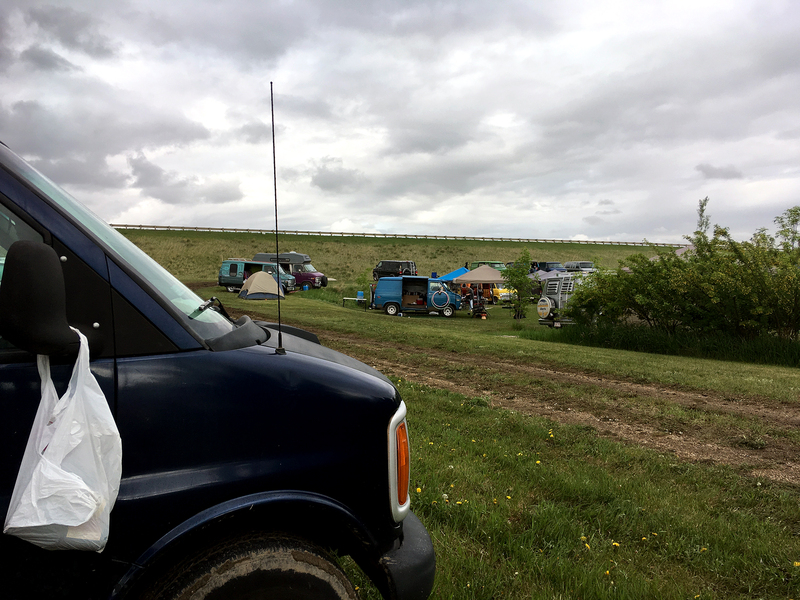 After catching up with some friends and family, we made the voyage to middle-of-nowhere-ville, Alberta for a music and van festival. Yes, I said van festival. It’s called Vantopia and is where people from Western Canada and elsewhere bring their crazy souped up vintage vans to hangout and party. I think we could easily say we were some of the only ones that actually live in our van because most of these other ones definitely stay in the garage for most of the year and only come out to be shown off. We’re talking full white polar bear interiors, custom wooden rims and even fully operational bars, all in 70s and 80s vans in the most pristine condition. It was a farmer’s field full of vanners and it was wicked. We set up our matching awnings with our friends’ van and made a giant van complex but were too busy getting wasted to take a photo of it – oops! GAHH!!! 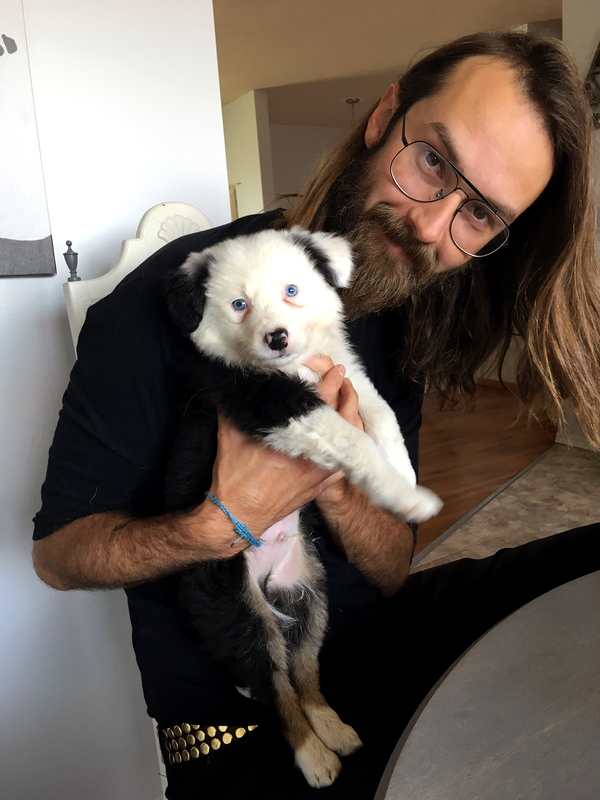 Don’t you just want to squeeze him?! Just as we were getting ready to leave Calgary, we noticed that our fridge had decided to stop cooling. We had propane, it was getting a steady flow of power and we always make sure to keep it level so this became a real headache. Long story short, we ended up being able to replace what was causing the problem with a $7 part from an electronics store and were back in business. This was really frustrating and stressful and delayed our departure by a few aggravating days but all in all, we got it sorted and were finally able to buy groceries again, yay! 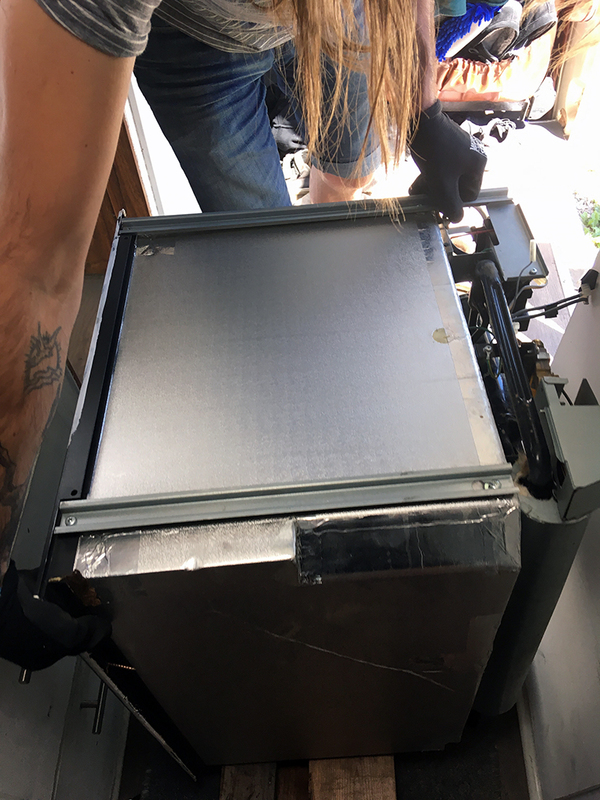 RV fridges are really expensive and finicky so I wrote a very detailed post about what happened to our fridge and how to troubleshoot if you’re experiencing issues with yours. All that and more here. With a cold fridge full of overpriced Canadian beer, we were ready to hit the road again and keep truckin’ east. 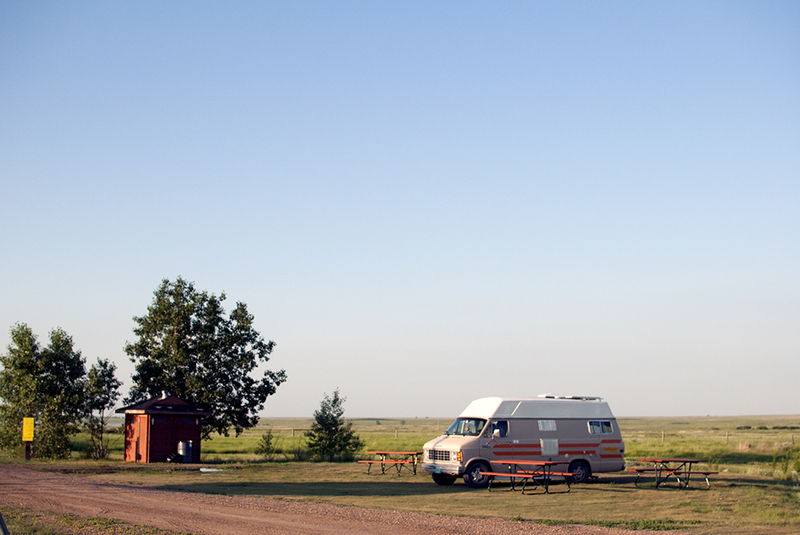 We made a stop not far from the Saskatchewan border in Sunnynook, Alberta at a lovely free campground on a dam reservoir. It was all fine and dandy with the exception of the playground that’s so rusty that it makes horror movie-level sounds as children play on it. Swings that sound like creaky shrieks and children’s laughter just don’t go all that well together when you don’t want to have nightmares. Aside from that, we enjoyed our last peaceful night in Alberta before exploring some new ground (for me) in Saskatchewan and Manitoba. Our next commitment is to be in Northern Ontario for the beginning of July so we have about two weeks to drive 19 hours, which is more than manageable and will give us plenty of time to get lost in all those canola fields. Oh yeah, we borrowed a camera from Justin’s mom so we’ll be stepping up our photo game on our blogs and camping directory. Be sure to follow along as we uncover new spots all the time!